OpGen, Inc. today announced a collaboration with QIAGEN N.V. to advance rapid diagnostics for antimicrobial resistance (AMR). Strengthening OpGen’s entry into the United States market, the companies have entered into an agreement to commercialize a new solution for the detection of multidrug resistant bacterial pathogens based on QIAGEN’s EZ1 Advanced XL automated nucleic acid purification instrumentation (EZ1) and kits for the United States. The EZ1 will be utilized in the test workflow for the Acuitas® AMR Gene Panel u5.47 products. The AMR Gene Panel family of rapid diagnostics tests has been designed to detect and identify multidrug-resistant bacterial pathogens in urine and bacterial isolates in approximately two hours. The test was developed for use with the Acuitas Lighthouse® Software for predicting antibiotic resistance and high-resolution pathogen tracking. The AMR Gene Panel u5.47 and the Acuitas Lighthouse Software are currently available for Research Use Only (RUO). Under the terms of the agreement, OpGen will purchase EZ1 instruments and reagent kits from QIAGEN and sell or place them with customers in the United States for use with the Acuitas AMR Gene Panel. The EZ1 is a Class I Medical Device listed with the Food and Drug Administration (FDA) that provides full automation with sample preparation throughput of up to 14 samples per one-hour run. QIAGEN is the global leader for nucleic acid sample preparation with a full line of instruments and reagents including the EZ1, the QIAcube, and the QIAsymphony fully integrated automation. There are thousands of EZ1 instruments currently used in laboratories worldwide. IGeneX is excited to announce the availability of their newly-developed, advanced testing methods to aid in the diagnosis of patients infected with Bartonella, an emerging epidemic with potentially disabling and life-threatening consequences. Despite the rising incidence of Bartonella, until now diagnostic tests for these organisms have been grossly insensitive and have not been able to detect many of the ever-growing list of species and strains known to exist. 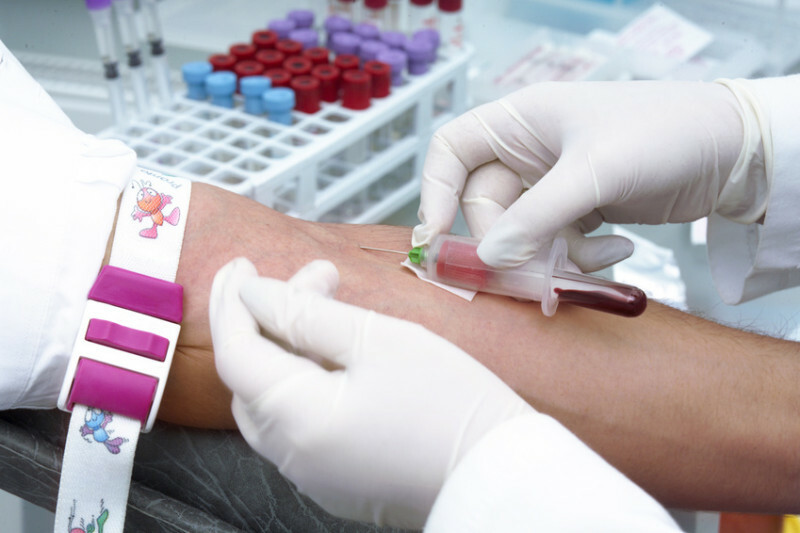 Currently, available serological and molecular tests lack sensitivity, can require repeated blood sampling, and may take weeks for results to be reported. The new IGeneX test methods have overcome many of these obstacles. “Thanks to countless hours of research, highly sensitive and widely inclusive testing is now available from IGeneX that will detect most of these clinically relevant, disease-causing Bartonella species,” said Dr. Shah, CEO of IGeneX. Bartonella comprises a group of globally distributed and highly diverse alpha-proteobacteria that can infect a wide range of mammals. Over the last two decades, more than 30 species have been identified, and several have been associated with a diverse spectrum of cardiovascular, neurologic, obstetric and rheumatologic disease manifestations in animals and humans. These bacteria are transmitted by vectors such as fleas, ticks, lice, and biting flies, and can be accidentally transmitted by animal scratches, bites and needle sticks. Thus, individuals working or living with animals, or those with high exposure to fleas, ticks, lice, and biting flies are at high risk of acquiring the Bartonella infection. 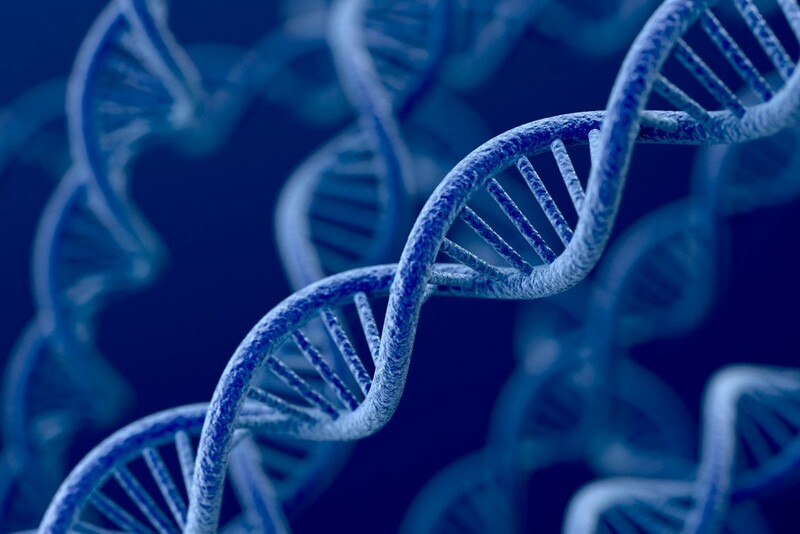 Using information derived from DNA sequencing of PCR products of patients’ samples positive by Bartonella Genus PCR, the research team at IGeneX developed the newly available Bartonella Western Blots and the Bartonella IgXSpot, an Enzyme-linked ImmunoSpot assay. The Bartonella Multi-Species Western blot detects Bartonella genus-specific IgM and IgG antibodies in human serum or plasma. Also, it will identify and differentiate B. henselae, B. vinsonii, B. quintana and B. elizabethae. The Bartonella IgXSpot is an Enzyme-linked ImmunoSpot assay that detects human T-cells reactive to Bartonella specific antigens in vitro. The Bartonella IgXSpot will detect specific T-cell responses very early - soon after the onset of infection - when antibodies to the organisms are not yet detectable, as well as late in the disease when the levels of antibodies can be very low. It is also useful in patients who are immunosuppressed or who have an immunoglobulin deficiency. Hence, this assay is especially useful for seronegative patients. These new tests are more sensitive, inclusive, and specific than currently available assays and will provide a diagnosis within just a few days. When the Bartonella IgXSpot test is combined with Bartonella Western Blots, FISH and PCR testing, one can obtain information on the full spectrum of the patient’s immune response to the infection and stage of the disease. The US Food and Drug Administration (FDA) has approved a point-of-care influenza (flu) A & B 2 and Strep A 2 molecular assay test that has been shown to improve on the fastest time to results among marketed assays. Abbott’s pair of assays—hosted on the ID NOW platform—has been granted a Clinical Laboratory Improvement Amendments (CLIA) certificate of waiver. The flu assay offers a point-of-care molecular detection and flu A & B differentiation result in 13 minutes or less, with a compact storage system that allows streamlined tests. The Strep A 2 assay, which provides a molecular detection of Group A Streptococcus bacterial nucleic acid, is capable of providing results in 6 minutes or less. Its positive results can be called out in as early as 2 minutes, with no culture confirmation required. The assays are supported by the ID NOW platform, the first CLIA-waived point-of-care molecular platform, with instrument-based isothermal system for the qualitative detection of infectious diseases. The initial flu A & B and Strep A assays for the platform were approved for marketed use in 2014 and 2015, respectively, with a third assay indicated for respiratory syncytial virus was cleared 2016. With the FDA approval, Abbot now anticipates to offer new assays for use this fall. It has been a particular busy week for marketed flu therapies—a quadrivalent flu vaccine was granted indication for pediatric patients, and baloxavir marboxil (Xofluza) was approved for the treatment of flu in early-symptom patients. “These Influenza A & B 2 and Strep A 2 assays combine speed with efficacy for rapid delivery of molecular results, further driving value for healthcare systems where time equals money," said Sharon Bracken, senior vice president of Rapid Diagnostics, Abbott. "By delivering fast and accurate molecular results at the point of care, these tests provide physicians with the confidence to give the right diagnosis and the ability to prescribe the right treatment earlier." Gregory J. Berry, PhD, director of Molecular Diagnostics, Northwell Health Laboratories in Lake Success, NY, said the ability to obtain early call outs for positive test results with molecular accuracy in such short time is a “game-changing development” for treatment purposes. “Rapid testing may also help reduce improper antibiotic usage, which can occur when treatment is based exclusively on a patient's symptoms, and contributes to antibiotic resistance,” Berry said. First Light Biosciences, a developer of breakthrough automated diagnostic products for rapid, sensitive, and cost-effective diagnostic tests for life-threatening infections today announced the publication of an article entitled, "A Rapid, Accurate, Single Molecule Counting Method Detects Clostridium difficile Toxin B in Stool Samples" in Nature Scientific Reports, a peer-reviewed, open access, multidisciplinary journal. The paper presents results demonstrating the performance of First Light's rapid test for Clostridium difficile infection (CDI) using the company's novel MultiPath digital imaging technology. 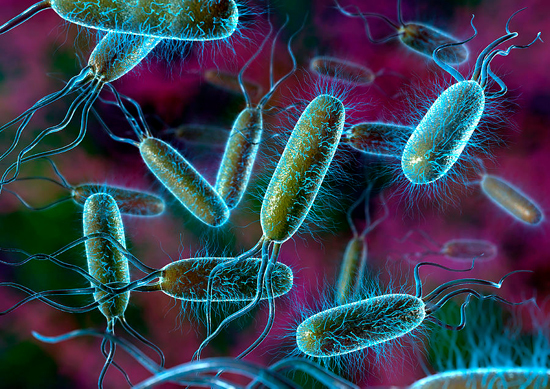 C. difficile, the bacterial pathogen that causes this devastating gastrointestinal infection, is responsible for about half of all hospital infections and about 29,000 deaths a year in the U.S. For these reasons C. difficile tops CDC's list of most urgent threats. First Light's MultiPath CDI test uses ultra-sensitive single-molecule counting to detect the toxins that cause CDI. The newly published results demonstrate the test's potential to detect the disease-causing toxins at levels about 20-50 times lower than current toxin tests. On a set of 320 clinical stool samples, the MultiPath C. difficile toxin B test showed 97.0 percent clinical sensitivity, 98.3 percent specificity, and 98.2 percent accuracy compared to the FDA gold standard test. "We are pleased with the results of our C. difficile study," said David Macdonald, CEO of First Light Biosciences. "Currently, there are no tests for this toxin that are rapid, sensitive and specific. This peer-reviewed publication offers compelling evidence that the MultiPath test provides superior accuracy." We describe a new rapid and accurate immunoassay-based technology capable of counting single target molecules using digital imaging without magnification. Using the technology, we developed a rapid test for Clostridium difficile toxin B, which is responsible for the pathology underlying potentially fatal C. difficile infections (CDI). There are currently no tests for CDI that are rapid, sensitive, and specific. The MultiPath C. difficile toxin B test images and counts complexes of target-specific magnetic and fluorescent particles that have been tethered together by toxin B molecules in minimally processed stool samples. The performance characteristics of the 30 minute test include a limit of detection of 45 pg/mL, dynamic range covering 4–5 orders of magnitude, and coefficient of variation of less than 10%. The MultiPath test detected all toxinotypes and ribotypes tested, including the one most commonly occurring in the US and EU; shows no cross reactivity with relevant bacterial species; and is robust to potential interferants commonly present in stool samples. On a training set of 320 clinical stool samples, the MultiPath C. difficile toxin B test showed 97.0% sensitivity (95% CI, 91.4–99.4%); 98.3% specificity (95% CI, 96.8–99.2%); and 98.2% accuracy (95% CI, 96.7–99.0%) compared to the cellular cytotoxicity neutralization assay (CCNA) reference method. Based on these compelling performance characteristics, we believe the MultiPath technology can address the lack of rapid, sensitive, specific, and easy-to-use diagnostic tests for C. difficile. 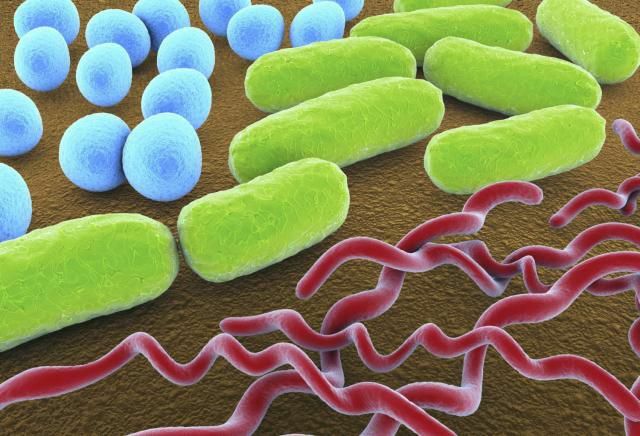 A team of scientists at Columbia University Mailman School of Public Health has developed a diagnostic platform that can detect all known human pathogenic bacterial species, plus antimicrobial resistance and virulence genes. In a study in mBio, the scientists report that the bacterial capture sequencing (BacCapSeq) system outperformed conventional DNA sequencing methods in identifying pathogenic bacteria and resistance genes in blood samples. It also detected a pathogen that tests that are commonly used for diagnosing bacterial infections would not be able to identify. The hope is that the platform, which still needs to be subjected to rigorous testing before it can be approved for use as a diagnostic assay in clinical settings, could enable earlier detection and treatment of antibiotic-resistant bacterial pathogens and enhance antibiotic stewardship. 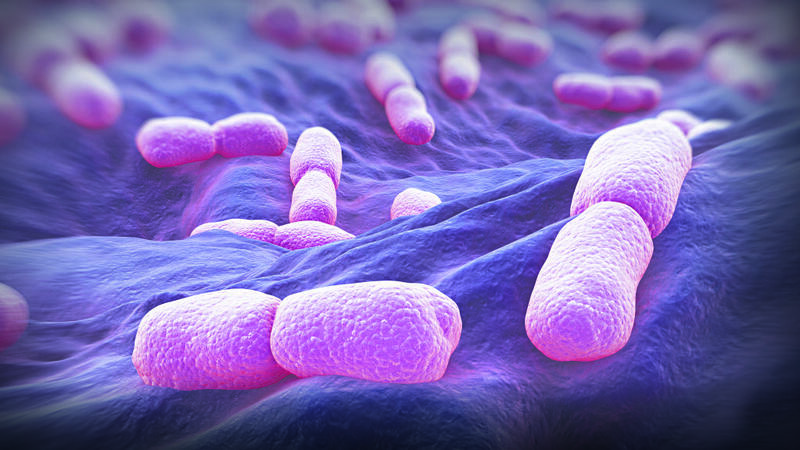 Because there is no current diagnostic test that can simultaneously identify bacteria and resistance genes, clinicians often have to treat bacterial infections with broad-spectrum antibiotics, which can hasten the development of resistance. "BacCapSeq is a method for differential diagnosis of bacterial infections and defining antimicrobial sensitivity profiles that has the potential to reduce morbidity and mortality, health care costs, and the inappropriate use of antibiotics that contributes to the development of antimicrobial resistance," the authors of the study write. BacCapSeq identifies bacteria, resistance genes, and virulence using a probe set of 4.2 million oligonucleotides, which are short nucleic acid polymers designed to detect specific segments of DNA and then bind to them. The probe set was based on a set of databases containing the genomes of all 307 known human-pathogenic bacterial species, 2,169 antimicrobial resistance gene sequences, and 30,178 virulence factor genes. After the probes bind to the corresponding DNA segment they're looking for, a magnetic process pulls out the genetic sequence, which can then be analyzed to identify the pathogen, resistance genes, and virulence genes. To test the performance of the platform against standard sequencing methods, the researchers used extracts of blood spiked with the DNA of several species of pathogenic bacteria, whole blood spiked with bacterial cells, blood culture samples, and blood samples from two patients with sepsis of unknown cause. In each set of tests, BacCapSeq detected a higher number of bacterial reads and obtained higher genome coverage for all bacterial targets than unbiased high-throughput sequencing (UHTS). The enhanced performance was particularly pronounced when the bacterial count in the samples was low. 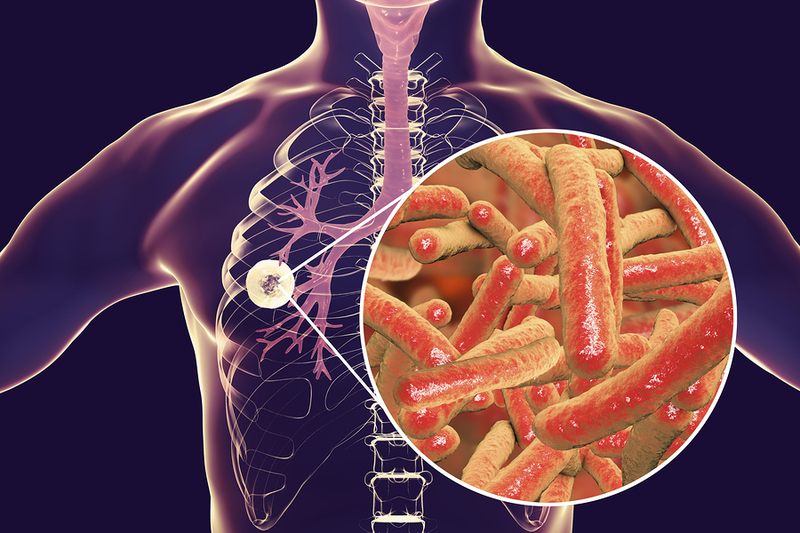 For example, in samples where the bacterial load was as low as 40 cells per milliliter, BacCapSeq detected multiple reads of Mycobacterium tuberculosis, Klebsiella pneumoniae, and Neisseria meningitides, while UHTS detected no sequences. In the patients who had unexplained sepsis, the bacterial reads obtained with BacCapSeq were 1,000 times higher than those obtained with UHTS. 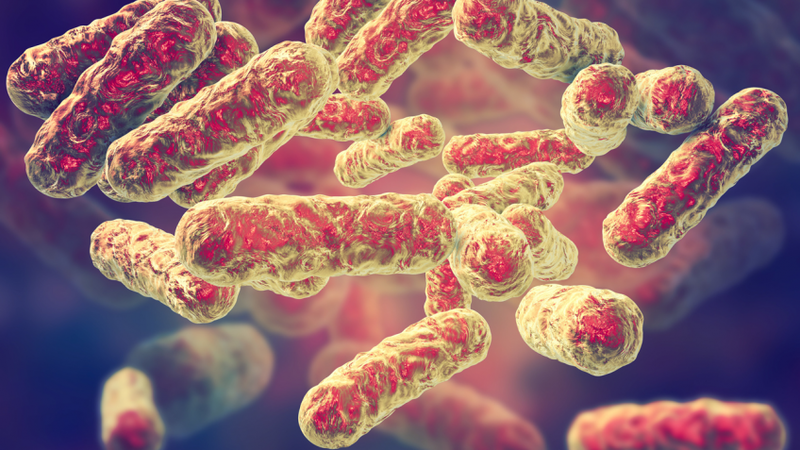 In addition, BacCapSeq identified the bacterium Gardnerella vaginilis—which is only rarely associated with significant disease—as the cause of sepsis in one of the patients. That's a pathogen that multiplex polymerase chain reaction (PCR) assays, which are commonly used in hospitals but can identify only a handful of pathogenic bacterial species, would not have detected. The platform was also able to identify antimicrobial resistance genes that matched standard antimicrobial sensitivity profiles and biomarkers that differentiate antibiotic-sensitive bacterial strains from antibiotic-resistant ones. The current version of the BacCapSeq platform does not produce results fast enough to have a major clinical impact. The time from sample acquisition to results takes about 70 hours, while culture-based diagnosis of bacterial pathogens takes 48 to 72 hours. But the researchers believe BacCapSeq will eventually be able to provide faster results with the development of rapid sequencing systems. That could be beneficial for treatment of sepsis, which can be deadly when it's not quickly recognized and treated with the right antibiotic. Use of the US Food and Drug Administration–approved Accelerate Pheno blood culture detection system (Accelerate Diagnostics) can shorten the time required to analyze patients’ blood samples leading to improved clinical outcomes, according to the results of a recent study. The results of a single-center retrospective chart review were presented by Dr. Dare in an oral abstract session at the 2018 Annual IDWeek Conference held in San Francisco, California, from October 3 to 7, 2018. “This technology allows for more rapid turnaround times of positive blood cultures in the microbiology lab. Our goal was to see [whether] this improved turnaround time translate[d] to improved clinical outcomes for patients in our hospital,” explained Dr. Dare. The Pheno system was superior in a battery of clinical outcomes compared with the current standard of care (SOC) involving the Vitek MS matrix-assisted laser desorption/ionization–time of flight mass spectrometry system and the Vitek 2 automated bacterial identification and antibiotic susceptibility test system. These included (all mean ± SD) the primary outcome of hospital length of stay (9.1 ± 7.6 days for the Pheno system and 12.1 ± 11.9 days for SOC; P = .03) and the secondary outcomes of time to optimal treatment (37.5 ± 32.7 and 73.5 ± 50.2 hours, respectively; P <.001), total duration of antibiotic treatment (7.0 ± 4.6 and 9.0 ± 7.5 days, respectively; P = .05), and length of treatment with meropenem (3.7 ± 2.1 and 6.6 ± 3.7 days, respectively; P = .03). For the study, investigators examined medical records of laboratory and clinical data of adult inpatients with bacteremia before (January to April 2017) and after (February and March 2018) the implementation of the Pheno system. The hospital had an active antimicrobial stewardship program operating during both time periods. Polymicrobial cultures, off-panel isolates, previous positive culture, and patients discharged prior to the final information concerning antibiotic susceptibility were excluded from the analyses. The record review identified 143 positive cultures following the implementation of the Pheno system. Of the 118 (83%) identified following implementation of the Pheno system, 75 (64%) met inclusion criteria. Of the 113 SOC cultures identified, 79 (70%) met inclusion criteria. The patients in both time periods were comparable for comorbidities (P = not significant), Modified Early Warning Severity score (P = .10), source of bacteremia (P = not significant), and pathogen detected (P = .30). The time from the collection of the sample to bacterial identification was significantly shorter following implementation of the Pheno system compared with the time before implementation (28.2 ± 12.7 vs 53.8 ± 20.9 hours; P <.001). The time from sample collection to the determination of antibiotic susceptibility was also significantly shorter when the Pheno system was in place (31.9 ± 11.0 vs 71.8 ± 20.0 hours; P <.001). The findings are immediately applicable. “These data were collected on real hospitalized bacteremic patients reflecting a direct impact on patient care. We are continuing the study with additional cases to verify these outcomes,” commented Dr. Dare. This was an unfunded, investigator-initiated study. CERTUS, innovators in food safety technologies, announces that its CERTUS System for accurate and rapid pathogen detection has achieved AOAC Performance Tested℠ certification (101802). 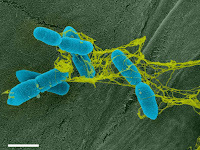 As a result of rigorous validation studies required to achieve certification, AOAC validation provides small- to mid-sized food processing plants further assurance on the reliability and efficiency of CERTUS’s in-house environmental Listeria monitoring process, a simple, safe, and cost-effective way to deliver swab-to-result pathogen detection. The use of an oral rapid HIV test facilitated by a certified health educator (CHE) can significantly improve HIV screening rates in an urban pediatric primary care setting, researchers report. The US Centers for Disease Control and Prevention (CDC) and the US Preventive Services Task Force (USPSTF) recommend universal HIV screening beginning in adolescence, but pediatric primary care settings have low rates of HIV screening. Dr. Renata Arrington-Sanders and colleagues from Johns Hopkins University School of Medicine, Baltimore, MD, investigated whether implementing rapid HIV screening as standard practice improved screening rates among patients aged 13 to 25 in a pediatric primary care setting. The research team used a four-cycle plan-do-study-act (PDSA) quality improvement model. CHEs approached all eligible patients during clinic visits to obtain verbal consent for screening and to provide patients an opportunity to opt out of screening. Those who accepted screening were offered a third-generation oral rapid HIV test, and those reporting recent risk behaviors were screened using a serologic fourth-generation antigen and/or antibody test. The HIV screening rate increased from 29.6% at baseline to 82.7% during cycle 4, when CHEs were colocated with providers and began to document reasons why rapid screening was not completed. Overall, five patients were identified as HIV-positive during the program, and all of these patients were linked on the same day to on-site HIV care, according to the October 16 Pediatrics online report. Only 2.9% of the HIV screening tests at baseline were rapid (97.1% were serology), but this increased to 94.0% in cycle 4. Almost all patients (98.1%-100%) who received a rapid screening test received same-day results, compared with only 8.2%-28.6% of those screened via serology, who received their results an average of 18 to 81 days later. "This study reveals that a system-level strategy in which established clinical structures are leveraged can improve the use of routine opt-out rapid HIV screening, receipt of results, identification of individuals who were unaware of their HIV status, and linkage to care," the researchers conclude. "Expanding routine opt-out HIV screening in primary care is needed to address the HIV epidemic in youth. Such programs can be easily integrated and may be effective in reaching those who might not otherwise seek testing or be screened for HIV." Nellie R. Lazar from Children's Hospital of Philadelphia, who recently identified high rates of missed opportunities for HIV testing in adolescents, told Reuters Health by email, "Health educators can be a great addition to primary care practices that serve adolescents. 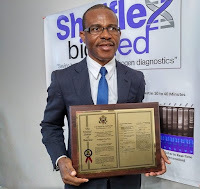 However, not all practices will be able to afford them, so RNs and medical assistants can be trained to do point-of-care rapid HIV testing on all patients instead." "Those who are identified as high risk by the nurse, MA, or provider can then be referred to more intensive risk reduction counseling when available," she said. "The electronic medical record can also be a helpful tool to provide alerts to clinical staff for those patients who have not had an HIV test in the past to encourage providers to order testing." 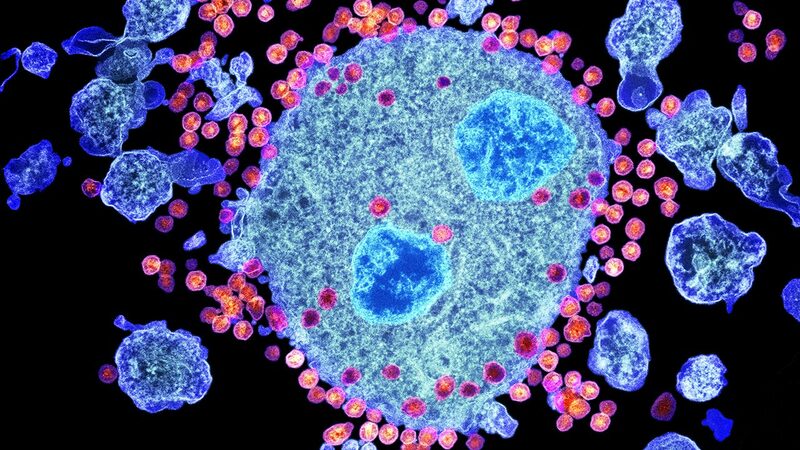 "It is encouraging to see the remarkable increase in routine testing for HIV that can be achieved through quality improvement interventions," Lazar said. "Testing all patients for HIV according to CDC recommendations can take away the stigma of testing and result in the identification of HIV-positive youth who can be linked directly to care, as shown in this report." GenePOC Inc., member of the Debiopharm Group, is proud to announce the approval by Health Canada and the launch of its GenePOC CDiff assay to be used with the revogene™ instrument. In Canada, CDI is the main cause of infectious diarrhea in hospitals and long-term care facilities. In 2017, the INSPQ estimated that the incidence of C. Difficile nosocomial infections had reached up to 6.08 cases per 10 000 days-attendance. The mortality rates at 10 and 30 days were 6.3% and 12.4%, respectively1. Still today, CDI represents a major issue for many medical institutions and is associated with 260 million dollars in additional health care costs2. The GenePOC CDiff assay is a qualitative in vitro diagnostic test to detect the toxin B (tcdB) gene of toxigenic C. difficile in stool specimens obtained from patients suspected of having CDI. "The approval of our CDiff assay by Health Canada for the diagnostic of toxigenic C. difficile is in line with the objectives of control and prevention of this nosocomial infection. Within only seventy minutes, a CDI can be identified. Our molecular tests have demonstrated to provide specific, sensitive and timely identification of patients with toxigenic CDI. Moreover, they are easy to use and affordable." 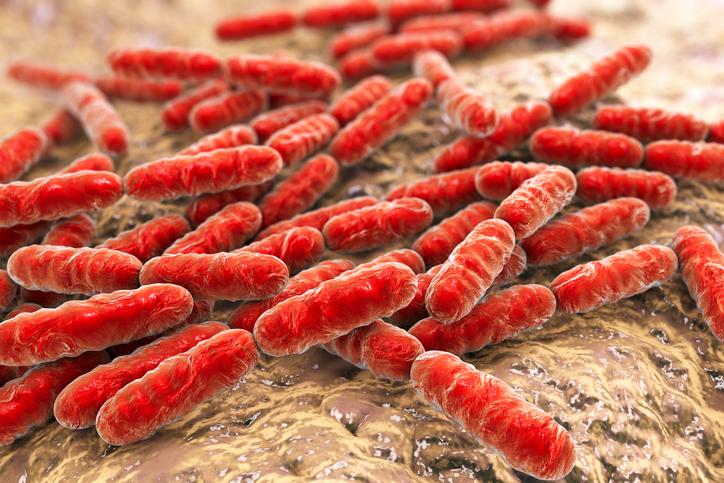 "C. difficile kills approximately 3000 Canadians a year. 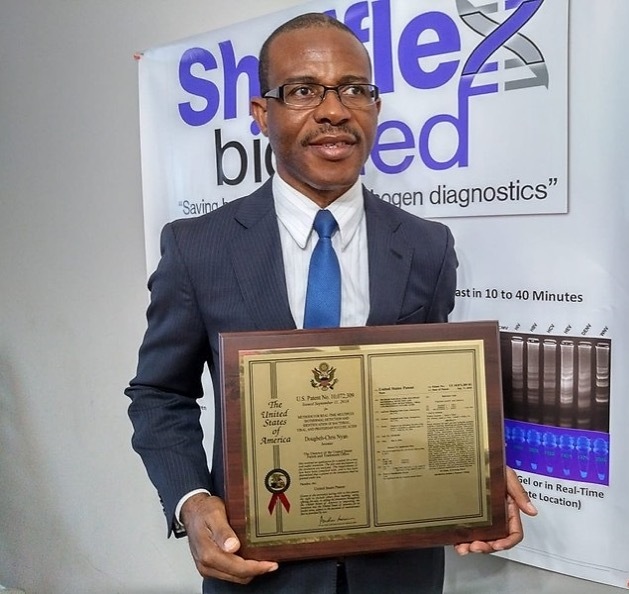 Rapid diagnosis using GenePOC's unique technology, initially developed in my laboratory at University Laval in Québec City, will save many lives while controlling its costly dissemination in hospitals." - Professor Michel G. Bergeron, M.D. 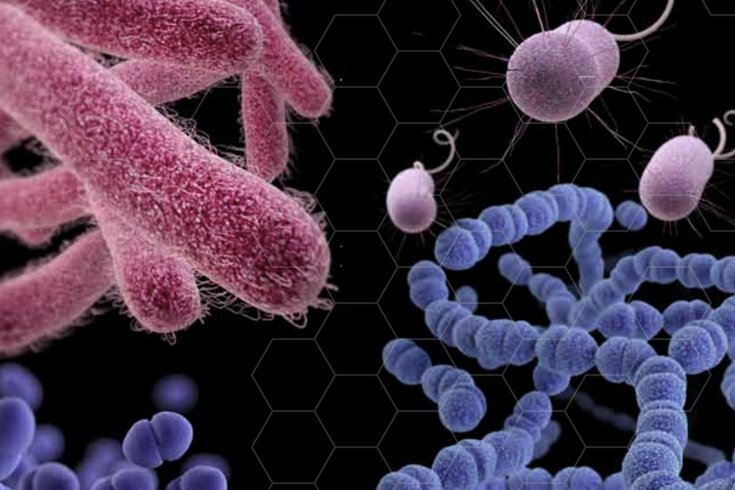 The GenePOC CDiff test has been developed with the financial support of the FPQIS (Fonds de partenariat pour un Québec en santé). The revogene is an automated and stand-alone instrument. It enables testing of single-use proprietary microfluidic cartridges, called PIEs, with its fluorescence-based real-time polymerase chain reaction platform to deliver an accurate diagnosis. PathSensors’ cutting-edge CANARY based assays for the detection of Ralstonia spp. 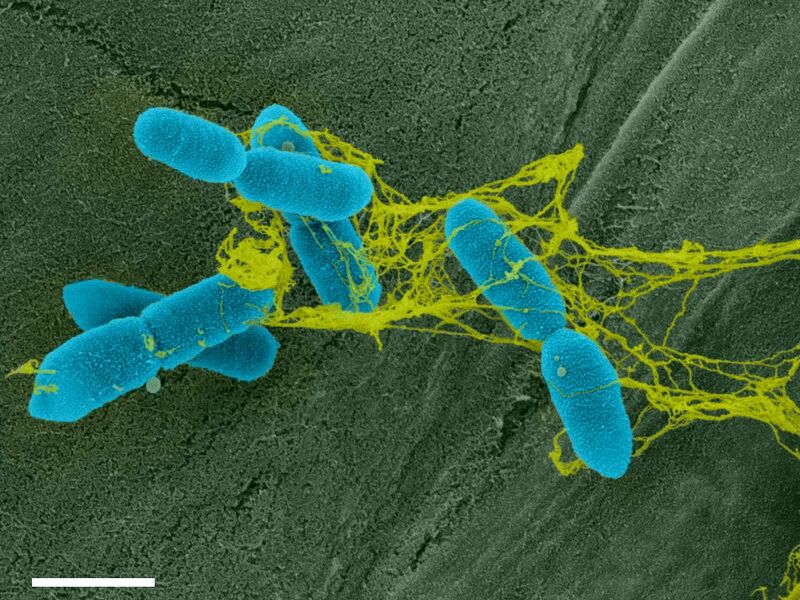 and Phytophthora spp. have been validated by USDA’s Animal and Plant Health Inspection Service for use in regulatory diagnostics. By going through the validation process, users can use the assays with confidence and trust, knowing they will be able to rapidly and accurately test and identify these damaging plant pathogens. Although not considered dangerous for humans, both Ralstonia and Phytophthora can wreak havoc upon numerous crops, including fruits, vegetables, and decorative plants. Ralstonia is a soil-borne bacteria that causes bacterial wilt which can eventually lead to plant death in a wide variety of crops, including potatoes, eggplants, tomatoes, bananas, and ornamental plants. Phytophthora, from the Greek word for “plant destroyer,” is likewise a dangerous pathogen that causes death among many plants and crops. It is most infamously known for causing the Great Irish Potato Famine in the 1840s, but continues to have devastating effects on agriculturalists’ crops worldwide. Phytophthora is the cause of sudden oak death syndrome, which has led to significant reductions in oak populations along the Pacific coasts of California and Oregon. PathSensors has integrated the Ralstonia and Phytophthora assays into their robust library of commercially available products. They will deploy the newly validated assays in the field to help prevent harmful plant pathogens from negatively impacting agriculture in the U.S. and abroad. PathSensors is a leading technology company providing rapid, highly sensitive, and easy-to-use pathogen detection solutions. Their CANARY technology detects a wide range of biosecurity, plant pathology, and food safety threats. PathSensors supports a growing library of threat detection capabilities that can be expanded to meet emerging requirements. CANARY technology is exclusively licensed from MIT-Lincoln Laboratory. Bruker Corporation announced that is has completed the acquisition of an 80% majority interest in Hain Lifescience GmbH, based in Nehren, Germany. Hain is an infectious disease specialist with a broad range of molecular diagnostics (MDx) solutions for the detection of microbial and viral pathogens, as well as for molecular antibiotic resistance testing. A simple and inexpensive new test developed by researchers at the University of California, Berkeley, can diagnose patients with antibiotic-resistant strains of bacteria in a matter of minutes. The technique could help doctors prescribe the right class of antibiotics for each infection, and could help limit the spread of antibiotic-resistant "superbugs" that kill as many as 700,000 people worldwide each year. "Health organizations around the world are supporting the development of tools that specifically identify pathogens that are resistant to antibiotics because there are limited tests available that can do it quickly," said Tara deBoer, a postdoctoral fellow in the College of Engineering at UC Berkeley. "Our test is simple and gives us information on a short timescale." The test, dubbed DETECT, spots the molecular signatures of antibiotic-resistant bacteria directly in urine samples. Unlike other techniques that are currently on the market, DETECT does not require expensive instrumentation and is simple enough to be applied in a point-of-care setting. "In theory, DETECT will allow you to diagnose antibiotic-resistant bacterial infections in a doctor's office just by collecting urine and mixing it with the DETECT reagents," said Niren Murthy, a professor of engineering at Berkeley. "Drug-resistant infections are a silent pandemic that actually kill more people every year than Zika or Ebola," said Lee Riley, professor of epidemiology and infectious diseases in the School of Public Health at UC Berkeley. "The faster you can start the right drug, the better the chances of survival or avoiding complications." The study, which was conducted as part of the Consortium for Research on Antimicrobial Resistant Bacteria (CRARB) that includes Berkeley researchers in the College of Engineering and the School of Public Health, appears on the Oct. 18 cover of the journal ChemBioChem. Many common early-generation antibiotics, including penicillin, amoxicillin and ampicillin, are based around a molecular structure called beta-lactam that blocks bacteria from building cell walls, making it impossible for microbes to grow and reproduce. However, as use of these antibiotics has soared over the past 80 years, certain infectious bacteria including strains of E. coli, Salmonella and Shigella, have evolved to produce enzymes that chop up these antibiotics, called beta-lactamases, and rendering them useless. DETECT works by identifying the presence of beta-lactamases in urine samples. "What our technology does is detect the molecules that are actually breaking down the antibiotics," deBoer said. While the basic technique for detecting beta-lactamases has already been developed, it is not sensitive enough to spot the relatively small concentrations of beta-lactamases in patient samples. For this technique to work, bacteria from a patient sample must first be cultured in a lab, which can take two to three days -- long enough for a simple bacterial infection like a urinary tract infection to invade the kidneys or the blood. The DETECT technique uses an enzymatic chain reaction to boost the signal from beta-lactamases by a factor of 40,000, high enough to allow detection of the presence of these enzymes in urine samples. With DETECT, a patient who tests positive for an infection that is resistant to early-generation antibiotics can immediately be treated with a more powerful antibiotic or alternative agent. The team tested DETECT on 40 urine samples collected from patients suspected of having a urinary tract infection, and found that approximately one-quarter of them had antibiotic-resistant infections. "DETECT tells you not only who has antibiotic-resistant infections but also tells you who could be treated by early-generation antibiotics, allowing you to spare higher-end antibiotics and slow the spread of drug resistance," Murthy said. DeBoer is now collaborating with doctors and clinical lab specialists in hospitals to design easy-to-use DETECT-based devices catering to specific medical settings. "Everybody has different needs in the hospital," deBoer said. "Right now we have a lot of designs, but what we are doing is allowing the intended use to define what the design is going to look like." For example, diagnostic tools that work well in an out-patient clinic may not be as convenient for doctors working in an emergency department, deBoer said. With the help of UC Berkeley's start-up incubator CITRIS Foundry, deBoer has co-founded a company, BioAmp Diagnostics, which is working to commercialize the technology into a rapid diagnostic device. The team is continuing to perfect its enzyme signal-amplification technique in hopes of soon being able to apply it to detect specific strains of bacteria as well as bacteria in the blood. "I think we are on the verge of having this applicable in a hospital setting," Riley said. Karius, a life sciences company transforming infectious disease diagnostics with genomics, along with Duke University, announced the positive results of a study demonstrating that the Karius® Test, a non-invasive blood test that detects pathogen DNA in plasma, accurately identified causative pathogens in patients with infective endocarditis even when blood cultures were negative due to pre-treatment with antibiotics. "The diagnosis of infective endocarditis (IE) can be difficult, especially if it is caused by organisms that are hard to grow, or if the patient has recently received antibiotic therapy. The Karius diagnostic platform offers an exciting approach to identifying the cause of endocarditis in patients with this life-threatening condition," said Dr. Vance Fowler, professor in the Departments of Medicine and Molecular Genetics & Microbiology at Duke University Medical Center and a lead author of the study. "The Duke Infective Endocarditis study demonstrates how the Karius Test can accurately identify the pathogen causing infective endocarditis even when the patient has been pre-treated with antibiotics," said Dr. David K. Hong, Vice President of Medical Affairs and Clinical Development at Karius. "The test's ability to detect and quantify over a thousand pathogens gives clinicians the unique ability to measure pathogen signal in patient plasma over time. This study shows great promise that microbial cell-free DNA as reported by the Karius Test can be a biomarker to aid in the diagnosis and monitoring of IE." Duke University researchers enrolled 30 hospitalized adult patients in a prospective study who were classified using the Duke Criteria for acute infective endocarditis. Blood samples were sent to the Karius laboratory, which uses next-generation sequencing to detect microbial cell-free DNA in patient plasma from over 1,000 pathogens including bacteria, DNA viruses, fungi, molds and eukaryotes. The complete study results were presented yesterday as an oral abstract during IDWeek™ 2018: Direct Detection and Quantification of Bacterial Cell-free DNA in Patients with Infective Endocarditis (IE) Using the Karius Plasma Next Generation Sequencing (NGS) Test. The Karius Test was performed on residual plasma samples collected within 24 hours of evaluation and whole blood samples collected within 48-72 hours of enrollment as well as on samples collected every 2-3 days for up to 7 time points until discharge. Of the 29 patients eligible for analysis, 24 patients enrolled in the study were evaluated to have definite infective endocarditis. Out of these, 21 patients had culture-positive disease. The Karius Test identified the same organism as cultures in 20 patients (95.2% sensitivity) and additionally identified Enterococcus faecalis in 1 out of the 3 culture-negative patients. Pathogen cell-free DNA signal decreased on antibiotic treatment with rapid declines after surgical procedures to remove the source of infection. The test identified pathogens causing the endocarditis episode in patients pre-treated with antibiotics up to 30 days prior to initial sample collection. In addition to Dr. Vance Fowler, Duke study authors include Pratik Shah MS, Felicia Ruffin MSN RN, Laura Winn, and Caitlin Drennan. Karius authors are Desiree Hollemon MSN, MPH, Hon Seng, Galit Meshulam-Simon PhD, Ka Lok Chan MS, Huy Quach, Timothy A. Blauwkamp PhD, and David K. Hong MD.